A request to rezone two properties at Jackson Avenue and Laurel Street to allow them to become legal short-term rentals passed the City Council last week, but only after a heated discussion about the ongoing impact of AirBnB-type vacation rentals on the city’s housing stock. The rezoning applies to the house at 839 Jackson Avenue and wraps around to an adjacent building at 2130 Laurel Street, according to city documents. 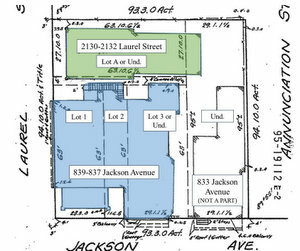 The owner and developer, Cornelius Payne, sought to rezone the property from residential to a neighborhood business classification, proposing two units in the Jackson Avenue home and two smaller units in the Laurel Street building. Part of the property already had the business zoning, but Payne needed that business zoning consistent across the property partly in order to host short-term rentals there, city documents state. City planners had recommended allowing the zoning change for the building fronting on Jackson Avenue, but denying it for the Laurel Street property. The City Planning Commission voted unanimously in favor of the staff’s recommendation at their July 25 meeting. When the City Council met Aug. 24, however, Councilwoman LaToya Cantrell made a motion to overrule the Planning Commission and approve Payne’s full request. Payne, she noted, was even hit by a stray bullet from a nearby shooting while he was working on the building, and yet persisted in his determination for the project. Treating the two properties as one is justified because they are “nestled together” with a courtyard between them, Cantrell said. Meanwhile, the neighborhood has not opposed this request, Cantrell said. Payne said he presented his plans to neighborhood groups in the Lower Garden District and received their support. Prior to his renovations, the properties were blighted and dilapidated, attracting crime to the corner. The tenants, he said, are people in town working for major companies, not tourists. Meanwhile, he lives on the site, so it’s not as if he is an absentee landlord, he said, but the configuration of the buildings really suggests that they should be handled together. “The courtyard connects all three of these buildings. The alley connects all three of these buildings, so they’re all connected,” Payne said. Councilwoman Susan Guidry, however, said the council should have followed the City Planning Commission’s recommendation. Unifying the zoning on Jackson Avenue makes sense, she says, but the Laurel Street property should remain a two-family home instead of removing it from the city’s full-time housing stock. 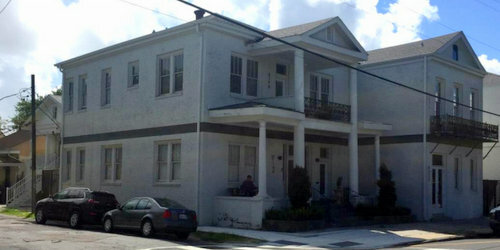 City Councilwoman Stacy Head said the request on Laurel Street, particularly, takes two housing units off the long-term rental market and converts them into tourist housing. Head said she supported the legalization of short-term rentals in commercial areas, but did not intend to convert residential neighborhoods to commercial zoning to allow them to proliferate. The short-term rental issue should not be blamed for the city’s lack of affordable housing, Cantrell shot back. That, she said, was the result of intentional efforts by city leaders after Hurricane Katrina. Councilman Jason Williams acknowledged that the Laurel Street property is closer to the more residential side of the neighborhood than the more commercial area down by Walmart. Payne’s description of the property, however, satisfied him that the rezoning was worthwhile. The council voted 5-2 in support of Cantrell’s motion, with Guidry and Head voting against it. So now tourists can be hit by stray bullets. Cantrell would be a continuation of Landrieu. More taxes and fees for residents, no accountability, and giving away the city to tourists. So what if we lose two apartments for poor people? We can make someone else add a few to his project.